Many believe that Google Project Fi has one major downside – that the devices supported on the network are limited. To some extent, this is true. The wireless carrier, which has its services working through the infrastructure laid down by T-Mobile, U.S. Cellular and Sprint, is only supported on five devices, all of which are owned by the search giant. These are the two Pixels and 2015’s Nexuses as well as the Motorola-made Nexus 6. To join Google Project Fi, you only have these devices to choose from. The Nexus 6 was released in 2014 and it’s no longer selling via the Google Store. The story is not different when it comes to the Google Nexus 5X and Nexus 6P, both of which are out of stock at both the official Store and through Fi. This means the only other options available are the Pixel and Pixel XL, phones someone coming from a Nexus 5X or even Nexus 6P will tell you are quite pricey. These two Pixels will soon be joined by the Pixel 2 pair, but this won’t be the only one. There’s word that the upcoming Moto X4 will be the first non-Google phone to come with support for Project Fi. This should come as a relief for some, especially since the phone will reportedly cost in the regions of $400, but Google can do more than the X4, right? There have been calls from fans asking Google to add Project Fi support to other devices from Android-partner OEMs. There are those who love Samsung phones and others are into LG, and so on. These people want Google to make it possible for them to bring their devices to Fi, but Google won’t let them. So, why won’t Google let you bring your iPhone 7 or Samsung Galaxy S8 to Project Fi? According to the search giant, the supported Nexus and Pixel devices have a special piece of hardware that allows users to enjoy the full features of Fi. With the data-only SIM card that works on any other GSM device, Google should have enough data on what exactly Fi needs to work on these devices. 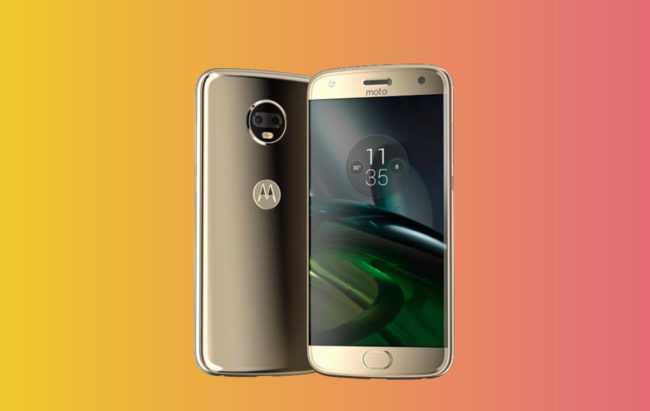 Perhaps it’s the reason we are finally having a Moto X4 that works with Fi. Or is it because Motorola was in charge of the Fi-compatible Nexus 6? It hasn’t been easy for Google to convince some people that it’s the only company with some “special hardware” that supports Fi. But with the Moto X4, it’s an indicator that Google is finally willing to share this special hardware with other OEMs. This is possibly the beginning of more OEMs coming in, but it will definitely depend on how the 4th-gen Moto X phone does in the market with respect to Fi. We’ve seen the company work with Samsung, LG, and Huawei on Nexus devices – maybe these companies might also get a share of this special hardware and start making Fi-compatible phones too. As for the idea of bringing your own devices, it simply won’t work. What happens here is that Google Project Fi support is not added to a device, rather, it’s the device that needs to add the support for the carrier through the necessary hardware. In other words, for a device to be compatible with Fi, it needs to come with this special hardware on board, otherwise, a software update won’t add Fi support to your current phone. So, if you are holding out for Google to somehow roll out a software update that adds Project Fi support to your LG G6 or Moto Z, well, sorry mate. You’ll have to get a device that comes with support for Fi out of the box in order to activate a Fi account. I have 3 Nexus phones but use Verizon with XL plan, 16 gb and 3 lines is 140. Fi would be 210. Admittedly I only use 9-11 GB but Verizon would still be cheaper.